Discussion in 'Magazines' started by amby, Mar 19, 2019. 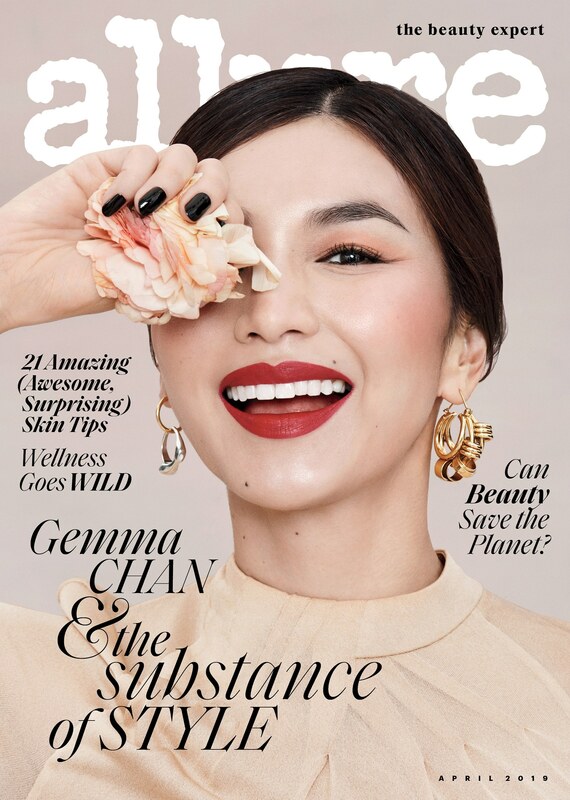 Finally the sort of cover that actually works for this magazine, but Gemma Chan always looks like those type of women who are covered in makeup 24/7. I guess that makes her even more suited to this magazine. mathiaskatz, phungnam96 and Bertrando3 like this. It's refreshing to see an Asian woman on a major magazine cover. It's very elegant and chic. mathiaskatz and Bertrando3 like this. 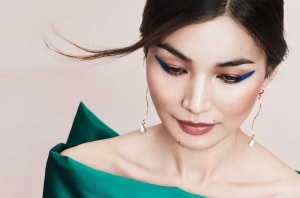 Given that the editor seems to have an allergy to the idea that people can enjoy wearing make-up in conventional ways, it probably kills her that she can't have Gemma Chan making some sort of bare-faced stand against the tyranny of red lipstick on the cover. I love this cover, it makes me smile and feel good, I´m visually invested in the fashion, the image and ultimately the coverstar: gorgeous ! ^ Yes. Her facial expression might not be the greatest, but if this is the new Allure (and not that mess with Kendall), I'm interested! The expression could be better, and I hope we get to see her statuesque presence in the editorial. She’s one of the few celebrities of today who are actually better than working models. Nice, but much prefer that beige-on-beige shot of Gemma in #8 as opposed to the cover shot. Nevertheless, after last month's eyesore with Kendall Jenner this surely is a welcomed sight. Delighted to see her landing such a big cover. She looks stunning. Would love to see her on UK Vogue soon. The images inside are nice but I'm not a fan of the cover. Glad to see Karen Kaiser back and doing some good work here...she's so much better than Elin Svahn IMO! Mixed feelings on this. Of course props to Michelle for putting an Asian female on their cover. I can't even complain that Gemma is an actress since ya know we've yet to face the revolving door casting crisis of Asian celebrities cycling through mainstream covers! However, is this magazine the lovechild of i-D meets InStyle Bridal? Yeah we get an Asian female on the cover but then her stunning face is half shrouded by that flower. I would've preferred a bolder color theme on the cover. As it is, all I see is Gemma's giant clown grin. Will likely give this a once over at the newsstand, however Gemma is not an actress which resonates with me, regardless of her race. I saw Crazy Rich Asians in the theaters based on the recommendation of a co-worker. The blockbuster movie pulled out all the stops visually but I left untouched emotionally. However, is this magazine the lovechild of i-D meets InStyle Bridal? Yeah we get an Asian female on the cover but then her stunning face is half shrouded by that flower. Aye, I think it's fantastic that she's on the cover - the only quibble I'd have is that Allure did the 'flower in front of her right eye' for Rihanna in October 2018, so if this pose starts happening again and again, it'll stop being cute. A gorgeous woman disserviced by a magazine with no vision. I also hate the makeup. Category is: Foundation Day. Also, the art direction worked here, not sure if it can work with other covers. Flicking through this, I did enjoy a two-page article about the making of an image shot about ten years ago for Allure, of Cindy Crawford covered in shaving foam - but now I've reached a piece about the content seen in the skincare addiction sub on reddit, and recycling content from reddit has to be one of the laziest ways to put words on a page. Agreed that she's better than most working models. Her face on the cover looks a little dopey. I agree, a better expression would've been better, she is beautiful.